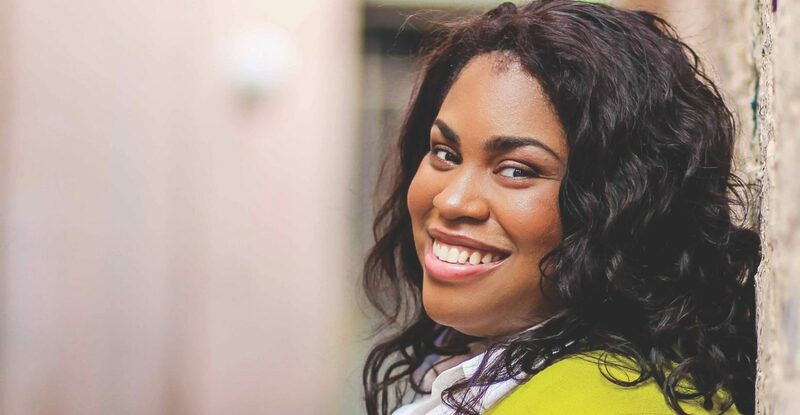 WASHINGTON – The Council for Christian Colleges & Universities is pleased to announce that Angie Thomas, graduate of Belhaven University and author of the bestseller The Hate U Give, has been named the 2018 CCCU Young Alumni Award winner. The award will be presented on Thursday, Feb. 1, during the 2018 CCCU International Forum in Dallas, Texas. The CCCU Young Alumni Award is presented to individuals who have graduated within the last 10 years and have achieved uncommon leadership or success in a way that reflects the values of Christian higher education. 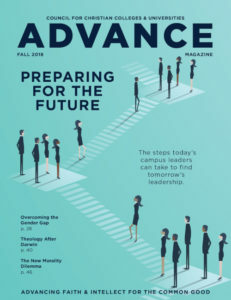 In addition to naming Thomas as the winner, the selection committee also recognized Delana Small, a graduate from Evangel University, and Preston Kemp and Tyler Sriver, both graduates of Oklahoma Christian University, as runners-up for the award. Started as a senior project at Belhaven, The Hate U Give is Thomas’ searing debut about an ordinary girl, one who lives in a poor neighborhood but attends a fancy prep school in the suburbs, and the way her world shatters when she witnesses her childhood best friend being killed at the hands of a police officer. Using relatable characters and engaging prose, the book addresses issues of racism and police violence with intelligence, heart, and unflinching honestly. It is now a #1 New York Times bestseller and has received starred reviews from eight literary journals, among the most ever received for a young adult novel, and is in the process of being made into a major motion picture. As a runner-up for the award, Delana Small was also recognized for her work as a U.S. Army Chaplain who has shattered several gender barriers as she has ministered to soldiers around the world. Small is the first female Army chaplain to serve in a Special Operations Unit, and she was also the first female chaplain to report to an Army combat arms unit when she served with the 101st Airborne Division’s “Screaming Eagles.” She has supported hundreds of soldiers and civilians at two different bases in Afghanistan. Also recognized as runners-up for the award were Preston Kemp and Tyler Sriver, part of a team of students and alumni at Oklahoma Christian University who are using their engineering skills to give ALS patients their voices back. VisuALS (founded by Kemp, Sriver, and some of their OC peers) has developed an affordable system that allows ALS patients to communicate through eye-tracking technology and text-to-speech functionality. The first recipient, Carl (who has since passed away), was featured on The Today Show.